Welcome to Ofshtein Law Firm, P.C. Accidents are complicated and insurance companies are NOT there to help, despite what they claim in their commercials. Their only goal is to minimize their payout to you. To them being in “good hands” means subjecting you to IME’s, EUO’s, EBT’s, SIU’s, and threshold denials. You probably don't know what those acronyms mean and you wont find out from the friendly neighborhood insurance agent. You also wont find out that the New York State auto insurance companies are making BILLIONS instead of fairly paying claims. So, what does all that mean to you? Well, on top of your accident you also get aggravation, hassle and low ball settlement offers from the insurance companies. We also handle slip/fall injuries, medical malpractice, dog bites, construction accidents, wrongful death, etc. We make hospital and home calls anywhere in New York City, Long Island and Westchester County. 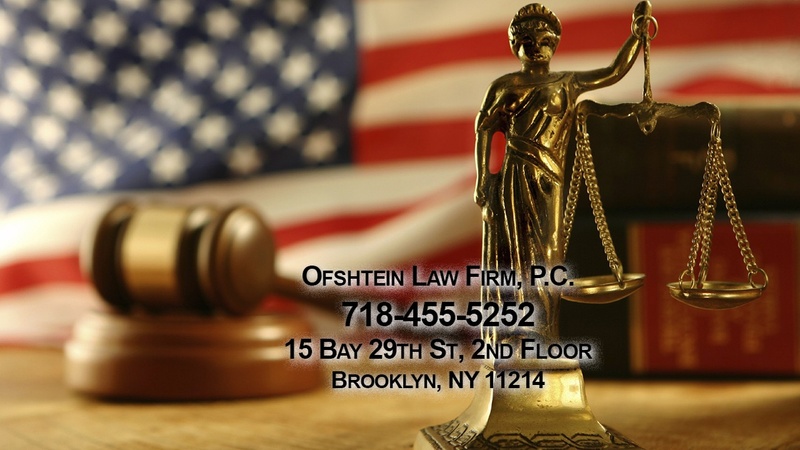 The OFSHTEIN LAW FIRM, P.C., has been battling the insurance companies for 20 years now. We have filed over 20,000 law suits on behalf of our clients and we don’t back down to the insurance industry. So, relax, get well and let us handle your personal injury case. We will work to protect your legal interests and help you obtain a fair settlement. We will treat you with respect and dignity regardless of the severity of your injuries. We work on a contingency basis and get paid only upon recovery of a cash settlement. No recovery, no fee. N. Pope vs. Apple Towing Inc.
OFSHTEIN LAW FIRM, P.C.© . All rights reserved.